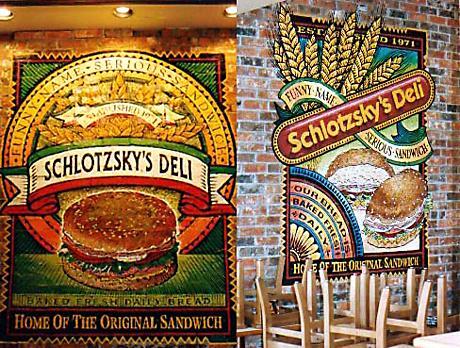 The Schlotzsky’s Deli Sandwich murals — commissioned by Schlotzsky’s and featured in their sandwich shops. We painted seventeen of these in locations throughout the nation. This entry was posted on Sunday, January 23rd, 2011 at 4:29 pm. It is filed under Interior, Restaurant. You can follow any responses to this entry through the RSS 2.0 feed.